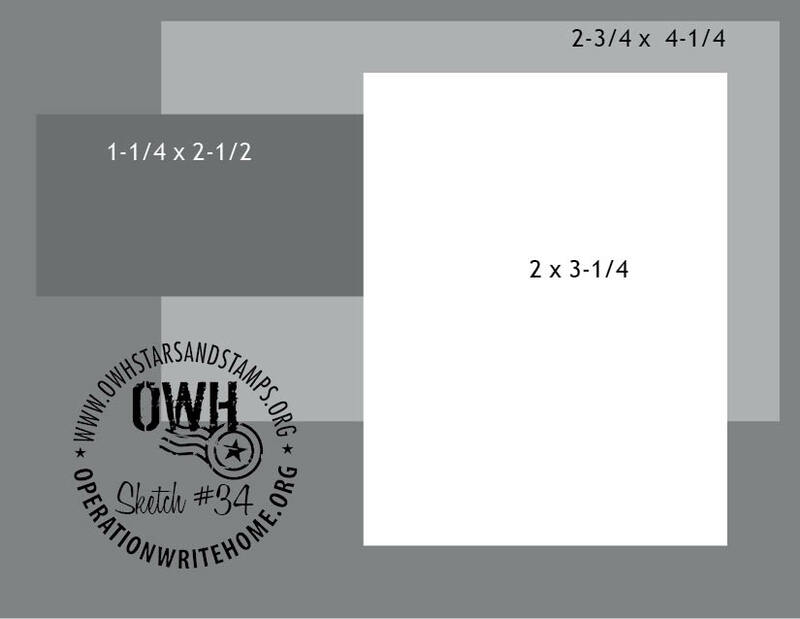 It is Sunday today which means it's time for another OWH Stars & Stamps Sketch Challenge. We offer these every week, and today's no different, even if it's in the middle of our birthday month! As always, feel free to rotate the sketch, add layers, change the size of the image to fit what you are working and my favorite, embellish galore! Today's beautiful sample card was created by the amazing Cathy. 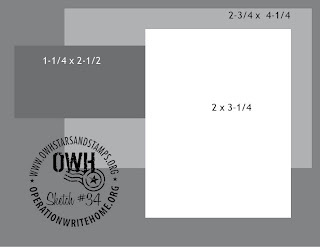 She does not have a blog at this time so to show her your appreciation for today's sketch and sample card, please leave a comment at the end of this post. Thank you, Cathy, for the beautiful thank you card! Make a THANK YOU card using this sketch and the color YELLOW on it — a prize will be given out by a random draw of participants in early October. You have almost a month to enter by Sept 30th! Good luck! Such a pretty and delicate card; I love it. The PP's work so well together and I love the stitching. Can't wait to try your sketch!! What a beautiful card! I particularly like the stitching details. I often add "faux stitching" on my cards but I think the real thing is so much nicer. Great sketch & beautiful card. Love the colors! Love this card. Love the colors, the images and how they all blend together. Cathy, your challenge is a great one and so is your lovely card! I love all the stitching and great colors! 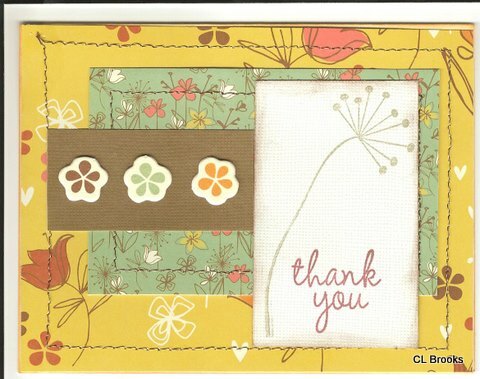 Thanks for the great sketch challenge and a beautiful inspiring card sample. You didn't miss it Sara - we swapped 33 and 34 when we realised the sample for 33 is a birthday card....fits perfectly next week! Love this card, really beautiful card. A simply sweet card. I love the minimal color. It is really adorable.